The failure of Karl Samuda, Minister of Industry, Commerce, Agriculture and Fisheries to respond to a comprehensive business proposal he had requested from the Coconut Industry Board (CIB) could sound the death knell for the cocoa industry as well as derail plans to lay a solid groundwork for Jamaica to capitalize on the multi-billion dollar global demand for bottled coconut water and other value-added products. “We are prepared to facilitate the expansion of the coconut industry to the fullest extent, no question about that, and we are prepared to work with them to ensure that by offering other facilities that accommodate their expansion. No question that we fully support the plan for expansion and development of the Coconut Industry Board and I really would not wish to have the slightest misinterpretation or misunderstanding about that,” the Minister told The Gleaner recently. This was after admitting he was initiating court action to fight the board over ownership of its shares in Seprod which are valued at an estimated $4 billion. The plan for development of an integrated processing facility at the 1,000-acre Water Valley property in St Mary would include the rehabilitation of cocoa trees on the land. The proposal includes acquisition of state-owned non-performing cocoa board assets such as the fermentary in St Mary, as well as property elsewhere, including the spices warehouse at Marcus Garvey Drive in Kingston, where the cocoa warehouse is located. This is because revitalisation of the cocoa sector is integral to the overall long-term development plans of the Coconut Industry Board which aims to develop a range of value-added products from both crops. Among the items on the drawing board is a ready-to-drink cocoa beverage infused with coconut milk. Cocoa is among the commodities the government has been trying to offload in preparation for implementation of the Jamaica Agricultural Commodities Regulatory Authority (JACRA) which is yet to come into effect, despite what should have been a July 1, 2017 deadline. Coffee, coconut, pimento, ginger, nutmeg and pimento are among the commodities which will fall under the remit of the umbrella regulatory agency. Donovan Stanberry, permanent secretary in the Ministry of Industry, Commerce, Agriculture and Fisheries spoke to the urgency of divesting assets of the commodity boards. It has been a struggle to sell the cocoa assets, he told The Gleaner. “We have attempted to divest those assets and have not been successful so those assets will cease to operate once JACRA takes over and the process of trying to divest them will continue. They (workers) are likely to be affected either by re-assignment or if we can’t re-assign them they will have to be made redundant but it is not intended that the government will continue operating those assets or having any commercial role in the cocoa industry when JACRA becomes operational,” he said. Representatives of the Coconut Industry Board were therefore shocked by Stanberry’s rejection of their bailout plan for cocoa, during a meeting they had initiated with Samuda in a bid to calm the escalating war of words between the parties. “At that meeting it never come up about selling shares or anything. Him (Samuda) wanted some money and we say we will look and see how we could come up with some money in exchange for some assets that the Ministry has, which would have been the cocoa industry and its assets, along with the assets of the pimento and spices, along with the Cocoa Board warehouses and things at Marcus Garvey Drive,” director Granville Marsh told The Gleaner. Negotiations were proceeding amicably until Stanberry’s interjection brought the talks to an abrupt end, according to Marsh. “The permanent secretary said to us, that land is out of it, that location is out of it. So if that land is out then it doesn’t make sense for us to really take the rest as logistically we would need a warehouse near to wharf to facilitate the export of cocoa. So we returned to the board and called a meeting of the directors and put it to them. The directors outright said no, if we not getting that (Marcus Garvey Drive facility) we not going down that road,” he explained. However, Stanberry downplayed the impact of his words, the substance of which was well known to the directors, he insists. “I told them that Marcus Garvey Drive is out of the business but I don’t know if that mash up anything and that has been said long years ago,” he told The Gleaner. 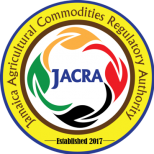 Meanwhile, on the issue of JACRA, the permanent secretary promised that the long overdue umbrella regulatory agency would be implemented very soon. “The bill has been passed, the Act is in place but it is the regulations that give effect to the Act and there have been some delays with the regulations. But we have had significant movement in the last two weeks and expect the regulations to be out within a week or so because we have been working very closely with the CPC (Chief Parliamentary Counsel),” Stanberry said.